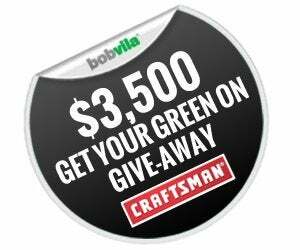 Enter Bob Vila’s $3,500 Get Your Green On Give-Away from the Craftsman® Brand Today! Enter for your chance to win an amazing weekly prize from the Craftsman brand. Winter is coming to a close, which means it’s time to brush off those patio chairs, barbecue pits, and, most importantly, lawn tools. If your green machines are in less than stellar order, it might be time for an upgrade. To save you some hard-earned cash and to help get your outdoor retreats in tip-top shape, we’ve partnered with the Craftsman brand to bring you the $3,500 Get Your Green On Give-Away, which offers a must-have outdoor maintenance or storage prize each week throughout February. Since 1972, the Craftsman brand has been dedicated to offering high-quality, durable tools that everyone from first-time DIYers to seasoned weekend warriors can always count on. Featuring over 80 categories and more than 6,000 products for the lawn, garden, garage, workshop, and more, there’s no job you can’t fix when armed with Craftsman tools. Throughout Week 1 (January 31st–February 8th) you could win a collection of the Craftsman brand’s newest cordless tools, including the 24V 22” Cordless Hedge Trimmer, the 24V Cordless Hard Surface Sweeper, the 24V 10” Cordless Chain Saw, and the 24V 12” Cordless Line Trimmer, to add to your yard work arsenal. During Week 2 (February 8th–15th), enter to win a Craftsman Premium Heavy-Duty Floor Cabinet that can keep your go-to home improvement essentials safe and stored. For Week 3 (February 15th–22nd), we’re offering up a Craftsman Pro Series Wide Deck Gas Mower—a new addition to the Craftsman Pro Series line that boasts a 28″ 2-in-1 dual-blade mowing deck and an engine qualified to 60% longer life (comparing against the expected life of standard Briggs & Stratton E Series Engine). 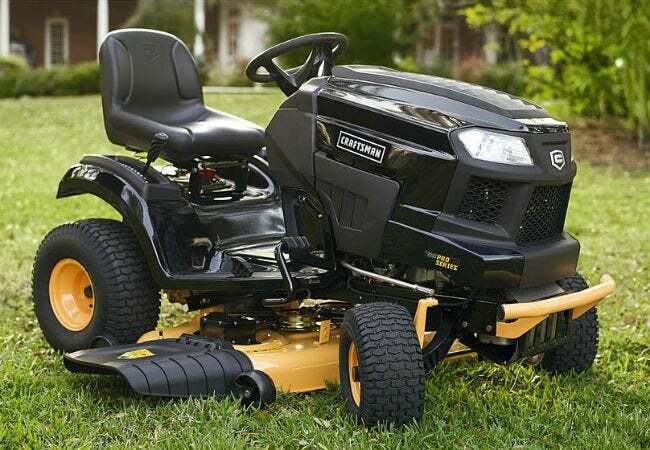 Week 4 (February 22nd–29th) concludes with awarding one lucky winner the Craftsman Pro Series 20 HP 42” Riding Mower, which features Consistent Cut Technology, the power and durability of a Kohler 7000 Elite Series engine, and more. So what are you waiting for? Enter today and every day in February for your chance to win an amazing tool to help beautify your backyard. To learn more about the Craftsman brand, click here. The “Bob Vila’s $3,500 Get Your Green On Give-Away from the Craftsman Brand” is open only to permanent legal U.S. residents of the 48 contiguous states and the District of Columbia; residents of Alaska and Hawaii are not eligible. Void in all other geographic locations. No purchase necessary. Void where prohibited. Contest Period runs from 12:00 p.m. (EST) Sunday, January 31st, 2016, through 11:59 a.m. Monday, February 29th, 2016. One entry per household per day on BobVila.com. Alternative means of entry for Drawing is available by faxing your name and address to 508-437-8486 during the applicable Entry Period. Odds of winning depend on the number of eligible entries received. See Official Rules.